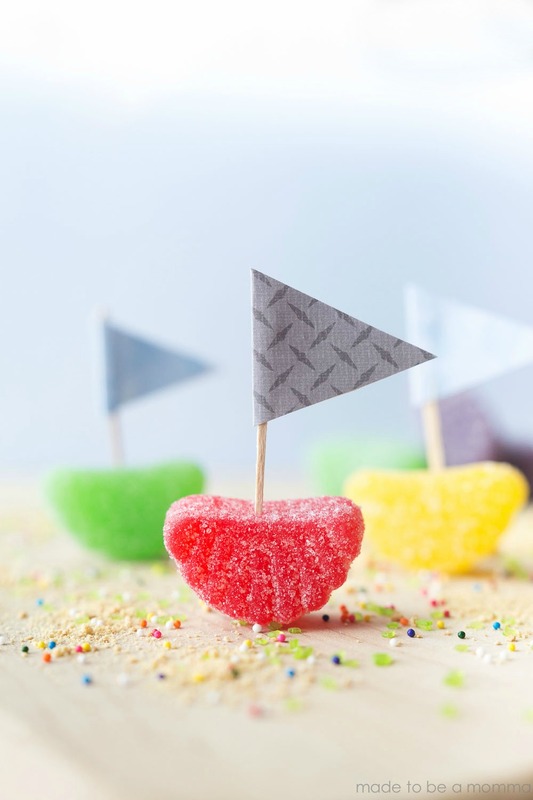 Fruit Slice Candy Boats- a fun treat to celebrate hot summer days and perfect little favors for beach parties. Sometimes a simple craft is just what the kids need to help push away the summer boredom slump…for at least a little while 😉 These little fruit slice candy boats are so simple and colorful, the kids just love them! They are the perfect craft for hot days and would be fun to display during any of your summer parties. My two boys are 5 and 3 and big into all things boats, cars, monster trucks and anything that moves. We decided to build these little boats that are equally delicious as they are simple.